Our tension insulators have specified mechanical load 90 kN. The device provides 100% quality check on MV surge arresters. They have IP67 protection which ensures reliable operation in all environments. They have an innovative insulating head with integrated conductor clamping system. MV surge arresters type SNO – class DH (IEC 60099-4:2014). We produce different patented accessories for MV power lines. 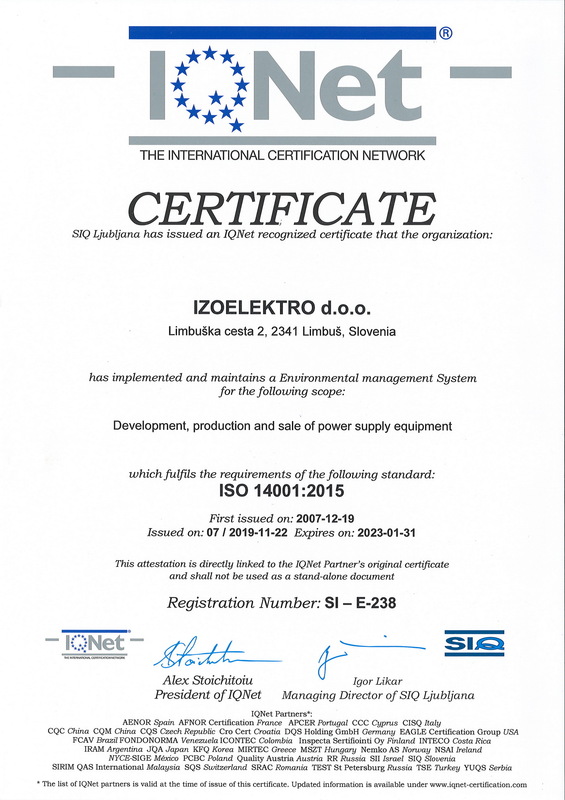 Izoelektro d.o.o. to producent i dostawca produktów przeznaczonych do budowy nowych instalacji i konserwacji sieci niskiego napięcia do 1 kV i połączeń średniego napięcia do 52 kV. Naszymi najważniejszymi produktami są ograniczniki przepięć niskiego i średniego napięcia oraz izolatory odciągowe i wsporcze. W większości produktów stosujemy opatentowane przez nas, innowacyjne rozwiązania. Przedsiębiorstwa dystrybuujące energię z ponad 40 państw na całym świecie zaufały w wiedzę i technologię naszej firmy. 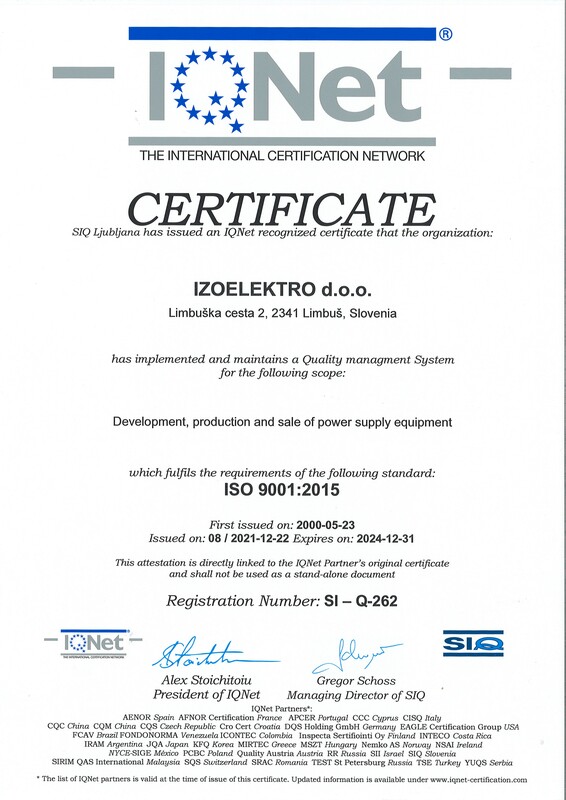 Nasza firma posiada certyfikat ISO 9001 i ISO 14001. "The investment co-financed by the Republic of Slovenia and the European Union from the European Regional Development Fund". Our company was also an exhibitor this year at the world's largest energy fair in Hanover. The fair was held from 23 to 27 April 2018. Our showroom A41 was in Hall 13. The motive for the participation in the Hanover fair was to establish new contacts with potential partners or representatives of companies that market equipment for power systems. In the company, we are aware that such fairs represent the beginning of concluding new deals on foreign markets, which is also our main goal. The fair also presents an opportunity to deepen existing contacts. Also, such a fair allows us to understand and analyze the competition. The fair fulfilled our expectations. The number of visitors and established business contacts is in line with expectations. 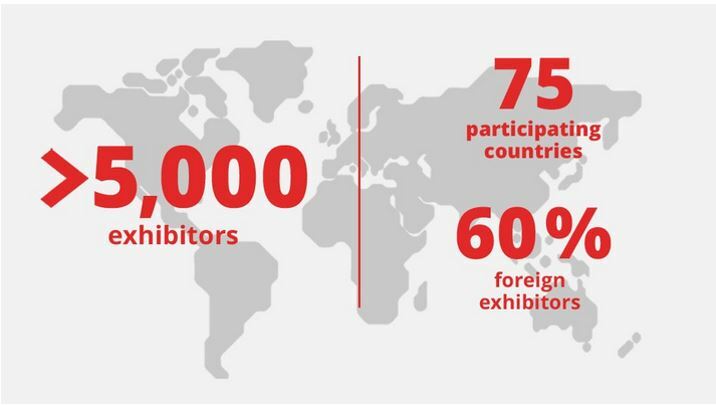 We are particularly pleased by the visit of this fair because we carried out some business talks with potential customers with whom we met at the Hanover Messe fair in previous years. In the public tender "Incentives for research and development projects 2" we received grants for "Development of a system for monitoring the functionality of surge arresters". Niniejszy serwis internetowy wykorzystuje pliki cookie, aby zoptymalizować korzystanie z naszego serwisu internetowego.